The percentage of women involved in sports and exercise has increased steadily over the last decade. Whilst this is excellent for numerous health and psychological reasons, this of course increases the risk of sporting injuries. There are some sporting ailments which women have a higher risk of developing. Knee injuries are especially prominent in females. The reason for this is that women have a wider pelvis. 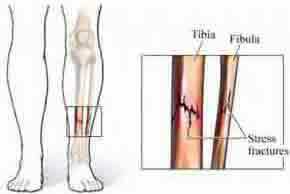 This results in a larger angle (known as the Q angle) at the knee, giving a knock kneed appearance! This causes problems with altered movement patterns (biomechanics) which places extra stresses on the joint and its supporting structures. 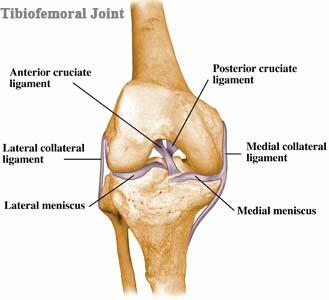 Anterior Cruciate Ligament (ACL) injuries are commonly caused by twisting forces at the knee joint, whilst the foot is fixed. For this reason it is common in sports involving sudden changes of motion such as netball and soccer. ACL injuries are between 2 and 8 times more frequent in females (dependent on sport and the literature reviewed). The reason for this is not clear, although anatomical differences such as the increased Q angle and differences in muscle balance have been suggested, as well as altered hormone levels. 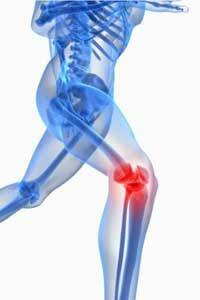 Due to ACL injuries occurring as a result of a sudden force they are difficult to avoid. However, ensuring that the muscles around the knee are well balanced, especially hamstring strength compared to quad strength, this may help. Wearing a knee support and balance training may also be helpful. Patellofemoral or anterior knee pain is a generalized pain around the front of the knee, typically worse when walking down hills or stairs and after long periods of inactivity (i.e. movie-goers knee). It is most commonly caused by mal-tracking of the kneecap, where it usually moves to far to the outside of the joint, rather than straight up and down in the groove in which it sits. In women, the increased Q angle is usually a large factor, affecting the alignment of the knee joint. Other common causes include tight lateral structures such as the IT band and lateral fascia, as well as a weak or mis-firing VMO (Vastus Medialis Oblique) muscle and overpronation. Prevention of this condition should involve improving biomechanical factors which may contribute. Overpronation at the foot is a common cause and so arch support insoles may be recommended. Maintaining strength in the hip abductors and quadricep muscles and flexibility in the IT band is also suggested. Stress fractures are small hairline fractures which develop gradually due to repetitive impacts and strains on the bone, as occur in running. The metatarsals (of the foot) and the shin bone are the most common locations for a stress fracture to occur. Women are more at risk of developing a stress fracture if they have a low bone density. This is common in women suffering menstrual disturbances, or later in life, due to the onset of osteoporosis. Stress fractures may be avoided through increasing training very gradually (especially for running sports) and ensuring cushioning footwear is worn to improve shock absorption. If stress fractures are repetitive, it is important to seek medical advice to test bone density. 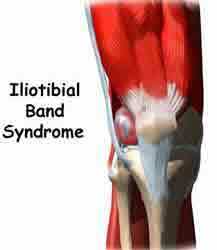 Iliotibial Band Syndrome (sometimes also known as runner’s knee) causes pain at the outside of the knee, due to repetitive friction of the IT band rubbing over the lateral epicondyle of the femur. Again, this is more frequent in women due to a wider hip and an increased Q angle. Similarly to Patellofemoral pain, preventing IT band syndrome should involve biomechanical improvements. In addition, maintaining IT band flexibility with regular stretching and massage is beneficial. Carpal tunnel syndrome is the compression of the medial nerve within the carpal tunnel at the wrist. This causes pain, tingling, burning and weakness in the hand, which is often worse at night. Many things may contribute to the development of carpal tunnel syndrome, although in women, it is most frequently due to fluid retention during pregnancy. On top of this, women have a naturally smaller carpal tunnel, predisposing them to the condition. Whilst it is difficult to prevent carpal tunnel syndrome when due to bone structure or pregnancy, avoiding repetitive wrist movements and aiding fluid drainage through elevation, ice and compression may be effective.